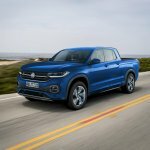 Volkswagen is working on a small pickup truck for Latin America, and with that thought in mind, Brazilian digital artist Kleber Silva has created renderings of a VW T-Cross pickup. Like the rendered VW T-Cross pickup, the actual VW small pickup truck is also said to utilise the versatile MQB platform. 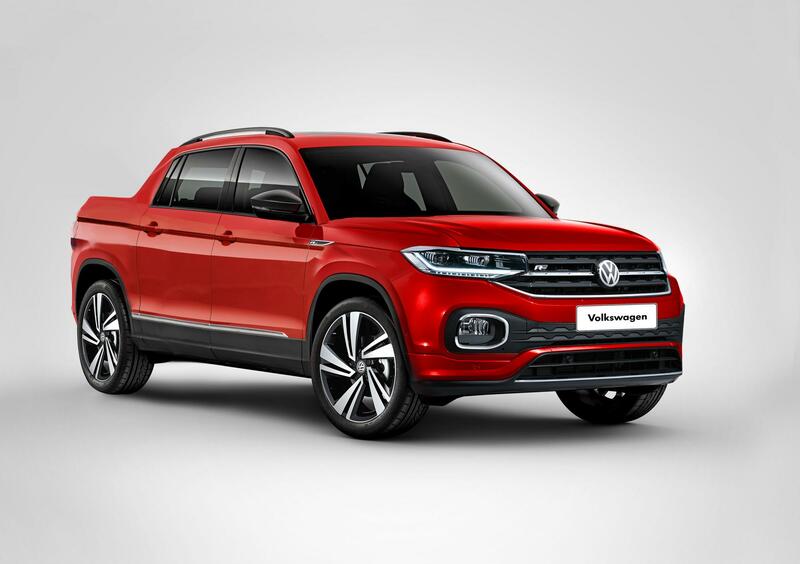 Silva has imagined the VW T-Cross dual-cab in two version, one with a standard bed and the other with a longer bed. Both are in a sporty R-Line variant. The longer version has a resemblance of the VW Tanoak concept as well. The VW T-Cross pickup will likely remain nothing more than just a speculative rendering. The small pickup planned for Latin America is a separate model, not a derivative of the new global entry-level SUV. 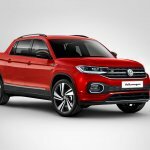 Volkswagen will preview this new entry-level pickup with the alleged VW Tayron concept at the 2018 Sao Paulo Auto Show this week. The VW Tayron concept rides on the venerable MQB platform, presumably the A0 version that underpins even the VW T-Cross, VW Polo and VW Virtus. This urban-oriented pickup’s name could change when it moves to production, although that’s not certain at the moment. 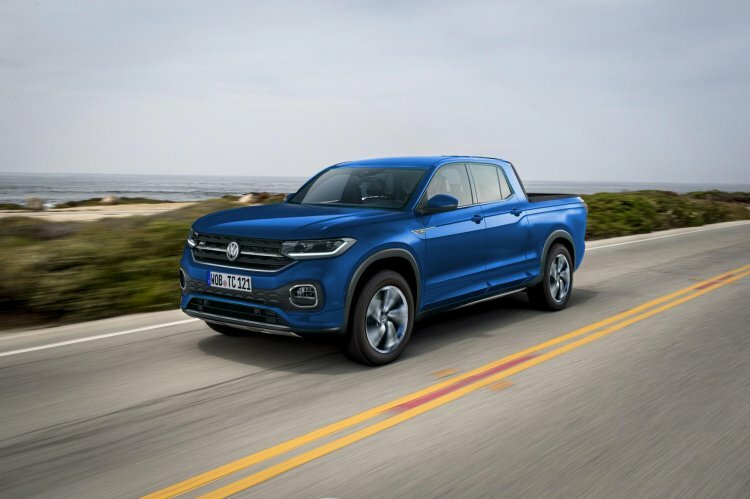 Brazilian reports suggest that the entry-level VW pickup’s engine options will include the EA211 1.4-litre TSI unit that produces 150 PS and 25.5 kgf.m (250.07 Nm) of torque and the EA888 2.0-litre TSI unit that develops 186 PS and 36.6 (358.92 Nm) of torque. These engines may come linked to a 6-speed automatic transmission and a 7-speed DCT respectively. The company will offer the 4MOTION AWD system as an option in select configurations. Kleber Silva has imagined the VW T-Cross dual-cab in two version, one with a standard bed and the other with a longer bed. 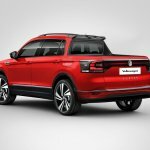 The entry-level VW pickup is unlikely to reach showrooms until the beginning of 2020, as per reports. As for the VW Tanoak mid-size pickup concept, the production version is under consideration for the U.S. market.